Dampfbahn Furka-Bergstrecke (DFB) or more commonly referred to as the Furka Dampf Bahn which runs from Oberwald to Realp over part of the former Furka-Oberalp Bahn which was abandoned when the Furka Base Tunnel was opened. The superbly restored loco's and stock make for a fine journey through some stunning scenery. 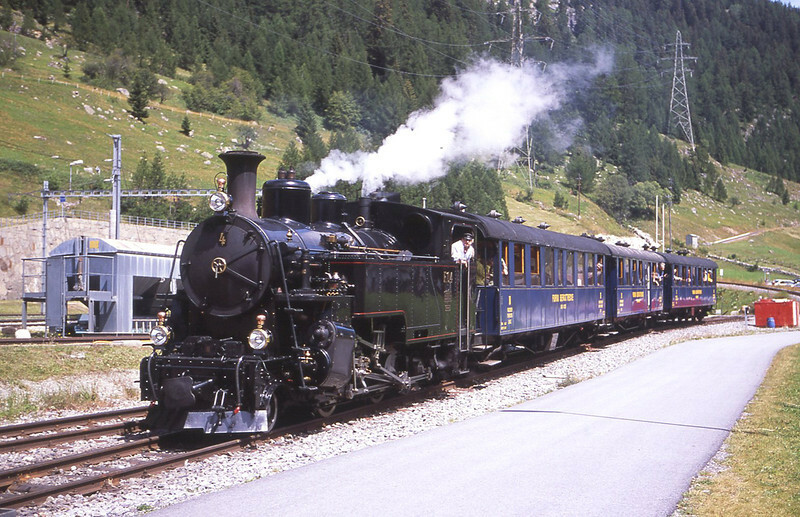 Former Furka-Oberalp No4 arrives into the DFB platform at Oberwald having come over the Furka pass with the 10:15 departure from Realp, 30/7/2012.